Original 1982 Thorn EMI/HBO Videocassette release in white clamshell case. The cover simply says it all. Badass. You know, that's a really good question. The cover itself is stamped 1982, so I'm not sure how they could have the poster for a movie that's not supposed to come out for another 3 years. My only explanation is that way back then, I remember it would take at least a year or so before films hit VHS from the theaters. I remember E.T. taking several years before it was finally released on VHS. 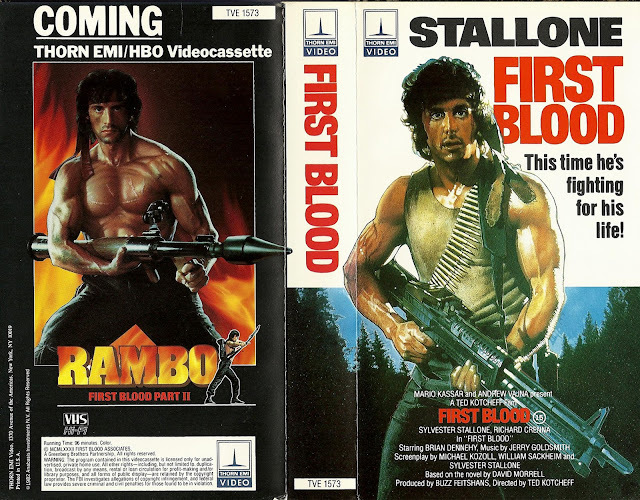 Maybe in the span of that year or so from when First Blood was leaving the theater they already greenlit the second film and started doing promotional shots already? That's just a guess though. Love this cover! Totally agree that it is Badass. any thoughts though as to why there's an image for Rambo 2 on the back when this was supposedly released on VHS in '82 and Rambo 2 didn't come out in theaters until '85? 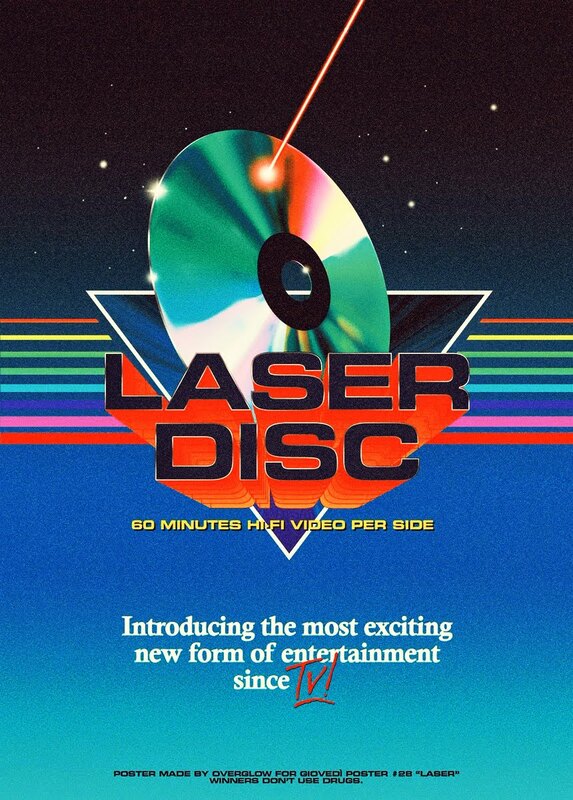 I'm guessing that though the copyright on the cover and tape says '82, that might just be for the movie itself and the VHS release might have been a year or so later?